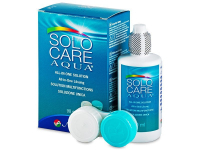 SoloCare Aqua solution is available in a special, 90 ml travel bottle. Its unique Hydrolock technology ensures all-day moisture and comfort. Each bottle of SoloCare Aqua comes with an antibacterial contact lens case. Solocare Aqua is a unique, multipurpose solution designed for cleaning, disinfecting, and storing all types of soft contacts. It effectively cleans lenses without the need to rub them. SoloCare Aqua solution includes gentle, yet effective cleaning ingredients, making it suitable for contact lens wearers who suffer from sensitive and irritated eyes. 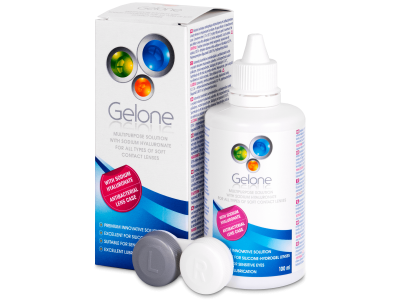 This package contains one 90 ml bottle of solution and one antibacterial contact lens case.